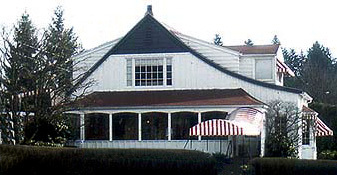 The Original Pancake House was founded in Portland, Oregon in 1953 by Les Highet and Erma Hueneke. 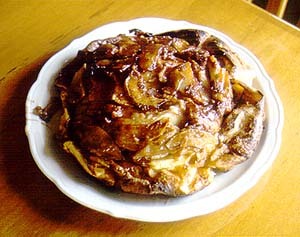 Drawing upon their many years of experience in the culinary field, and their extensive working knowledge of authentic national and ethnic pancake recipes they were able to offer without compromise this unique and original menu which has gained national acclaim. The Original Pancake House is a second and third generation family business, which takes great pride in maintaining the high standards that make our food so outstanding. We now have over one hundred franchises from coast to coast, which have won local and national acclaim. Our recipes demand only the very finest of ingredients, such as 93 score butter, pure 36% whipping cream, fresh grade AA eggs, hard wheat unbleached flour, and our own recipe sourdough starter. Our batters and sauces are made fresh in each restaurant’s kitchen. 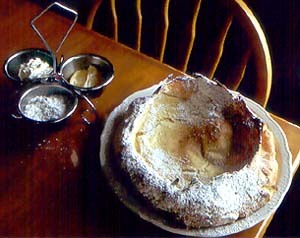 Our signature items include the Apple Pancake, a single large pancake smothered with sautéed apples and cinnamon sugar baked to perfection, to create a deliciously rich cinnamon sugar glaze. It is our constant objective to serve you the finest pancakes available, and to give you pleasant and courteous service. Our menu items are delicious at anytime. Click on the location map to find out more about the Original Pancake House nearest you. Thank you for visiting our website and we look forward to seeing you at the Original Pancake Houses.